When space is at a premium, this incredibly pack-efficient MSR Trail Mini Duo cook set is the ultimate space maximising solution for making hot meals and drinks for two. When space is at a premium, this incredibly pack-efficient MSR Trail Mini Duo cook set is the perfect solution for making hot meals and drinks for two. The MSR Trail Mini Duo 1.2 L pot also neatly nests a 227g MSR fuel canister and a PocketRocket® 2 stove (not included, but also not expensive). Its bowl efficiently adds a second eating or drinking vessel, creating an ultra-space-maximizing kit for two adventurers. Ultra-Compact: Efficient nesting design makes room for a PocketRocket 2 stove and an 8 oz MSR fuel canister, creating a complete set that saves precious pack space. 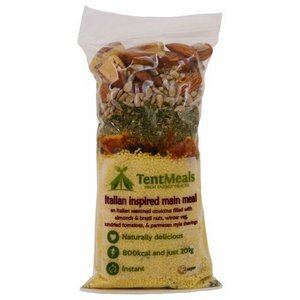 Ultralight: Weighs just 289 g (10.2 oz), keeping pack weight to minimum. 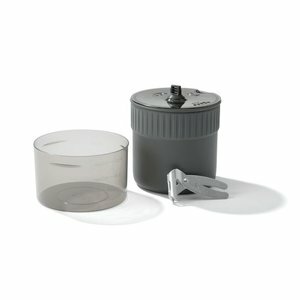 Durable: Lightweight, strong hard-anodized aluminum pot, and polypropylene lid and bowl. 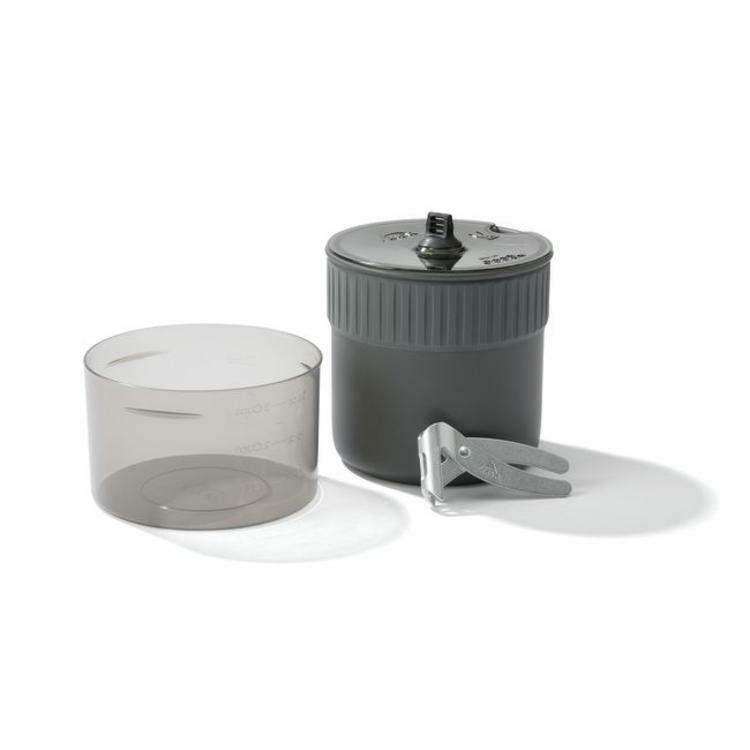 Versatile: Pot’s insulated grip allows it to serve as an eating and drinking vessel; pot lid doubles as a strainer; bowl is hot- and cold-safe. Set Includes: 1.2L hard-anodized aluminum pot, 828ml capacity bowl, clear lid with straining ports, ultralight mini pot lifter, stuff sack. 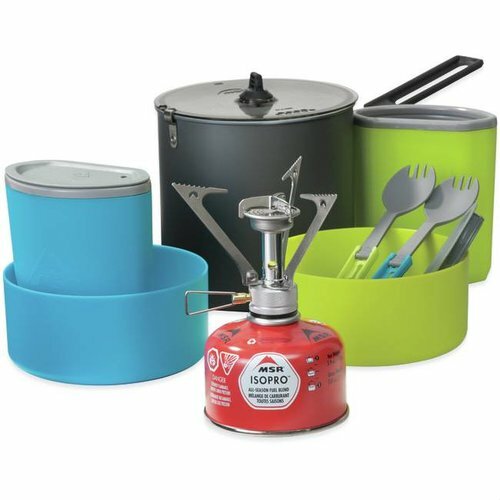 Room to nest PocketRocket 2 stove and a 227g IsoPro™ fuel canister (both sold separately). 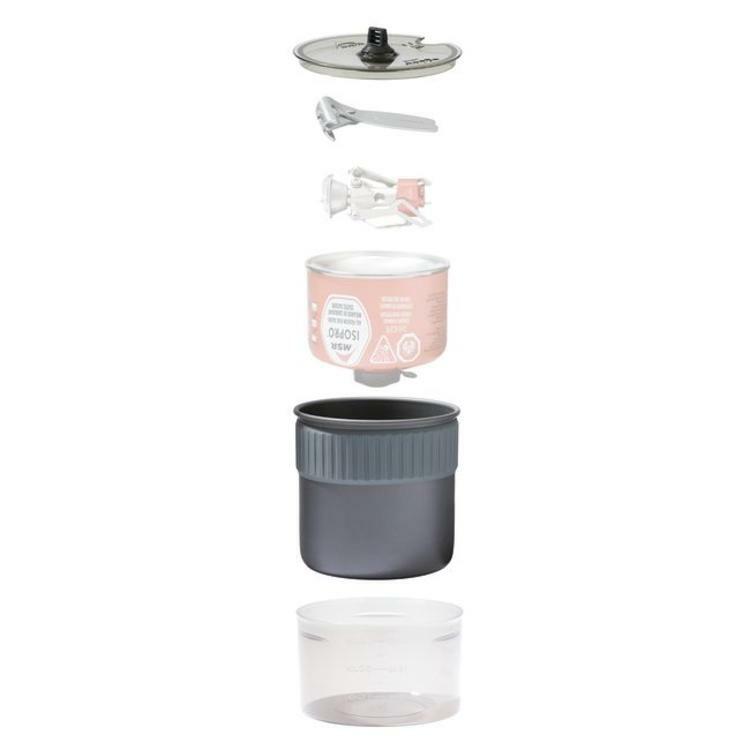 A complete cook and eat kit for two, consisting of a 2 litre pot, Pocket Rocket original stove, 2 bowls, 2 insulated cups and 2 sporks. This kit will serve you well for years to come. Naturally instant and delicious, these super healthy, convenient, high energy expedition meals make a proper dinner to look forward to at the end of a tough day.